We specialize in the integration of all transportation and logistics functions for top-tier companies around the world. AGT Global Logistics can help improve customer service, accelerate order cycle time, and tighten control of the supply chain — all while reducing costs in transportation, inventory and order fulfillment. AGT Global Logistics partners with the largest and most diverse ground expedited fleets in the US. More than just cargo vans, straight trucks and tractor trailers, our fleet includes flatbed, step-deck, temperature-controlled and validated transport options and equipment compliant to DOT regulations for Hazardous Materials.. In addition to our dedicated fleet, AGT Global Logistics manages an unparalleled global partnership with ground and air freight integrators, line-haul carriers and cartage agents for time critical services. This network strength provides our customers with aggregate buying power and access to ensure that shipments are delivered on schedule and on budget. With Air Charter, NFO, Next Day, 2nd Day, 3rd Day and Deferred Services, we are able to optimize freight by mode, carrier and delivery to ensure the lowest cost-to-service ratio in the industry. Regardless of the mode, service or pick-up and delivery locations, we stand alone in our ability to provide the most cost effective supply-chain solutions for your time sensitive and high value freight. AGT Global Logistics is a woman owned business, certified by the National Woman Business Owners Corporation. Angela Eliacostas, founder of AGT Global Logistics, has over 25 years of operational experience in various trucking and transportation companies. The services these companies provided were general in nature and not always offered in partnership with the client. Having worked in transportation since age 12, Angela’s life-long experience gave her a unique perspective. Angela saw a gap created by these generic services, and an opportunity to keep the client’s world turning through elevated education and communication. Angela’s vision for an unstoppable transportation company soon led her to utilities – a world where transportation demanded hands-on supervision and advanced communications to stay in motion. Utility logistics management became the focus and the opportunity to prove Angela’s vision. Angela started her company as All Girls Transportation & Logistics, Inc. to highlight the woman owned and operated nature. Its focus was creating a transportation program unique to the utility industry with negotiable rates and services, identifiable carriers able to serve and a unique ability to educate, communicate, and provide personalized representation. As offerings and services grew, a natural evolution took place including an evolved brand and name – AGT Global Logistics – the same customer service you already trust with a refreshed, solutions-driven focus. On the uncertain road of global transportation and logistics, we keep your world turning. No matter what. Angela Eliacostas, President and Founder of AGT Global Logistics. With more than 25 years in the transportation industry, Angela has worked her way from the ground up. When she was a young girl, Angela’s father ran a trucking company and was on the road during most of the week. In order to spend time with him, she would help her father fuel, park and wash his trucks, while also learning the transportation business along the way. Then, from moving on to a billing clerk shortly thereafter, to a now premier transportation contract negotiator. Angela is an industry leader in expediting shipments and serves as a liaison between carriers and companies. Following generations of relatives with expertise in the transportation industry, Angela made the natural transition to her own career within the industry. 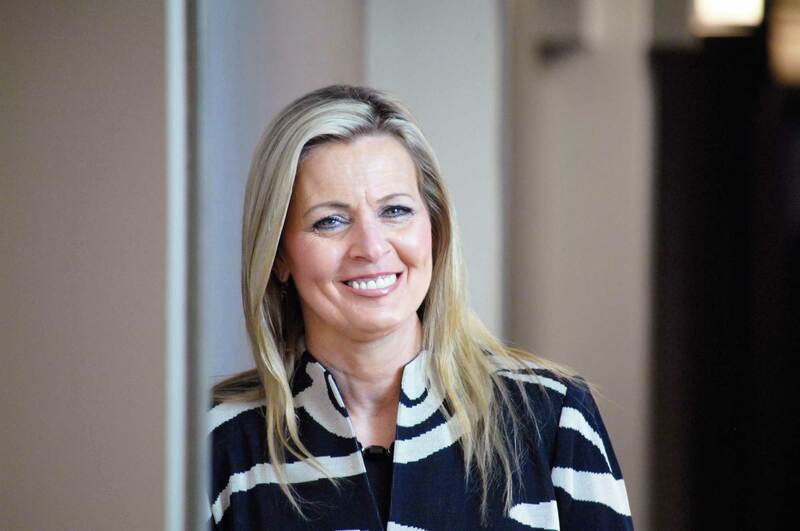 In addition to raising 4 boys, Angela has been recognized for making AGT Global Logistics one of the top 50 woman owned businesses in Illinois in 2015. AGT Global Logistics is committed to sustainable business practices which provide our clients with a competitive edge and conserve natural resources. Our pledge each and every day is to keep our clients’ world turning. Central to that commitment is ensuring that we minimize environmental impacts. Beyond our ongoing business practices, we are proud advocates for public policies that increase the availability of low- and zero-emission energy sources. The ongoing transition to a clean energy economy is one that we passionately support. Many of our clients operate at the forefront of the transition to the new energy economy, continuously innovating and expanding the availability of clean energy sources. As critical members of their supply chain, we hold ourselves to the highest standard when it comes to transporting materials on their behalf with the lowest environmental impact possible. As a transportation provider, the most impactful way to conserve natural resources is through minimizing carbon emissions during transport. AGT Global Logistics has been an official “Smartway Partner” since 2009. The Smartway Program is a public-private initiative to reduce greenhouse gas emissions and air pollution created by freight transportation in corporate supply chains. More than 89% of our carriers are also Smartway participants. Each year, we commit to moving more freight and having a greater percentage of carriers who commit to Smartway practices. Today, more than 70% of the freight moved by AGT Global Logistics is handled by Smartway carriers. By 2018, we are committed to attaining 80% achievement by the same metric. Serving clients in the nuclear, power, and utility industries we constantly evaluate our commitment to supporting clean energy. Today, 80% of our overall workload serves the energy industry. Roughly 70% of that total workload serves the distribution of clean energy. By 2018, we are committed to increasing the percentage of energy related work that fosters adoption of clean energy sources. AGT Global Logistics is also committed to conserving natural resources through our internal business processes and protocols. In order to reduce our carbon footprint, we have instituted the following practices. Our team members are indispensable to our overall success. As individuals and community members their success is central to our own. In order to support our employees we offer generous compensation packages and benefits, including flex time, paid time off, paid sick leave, and access to a 401k. Beyond compensation and benefits, AGT Global Logistics provides ongoing access to job training and continuing education for staff. From hazardous materials training to Department of Transportation seminars and more, we strive to give our team members the tools they need to continuously improve. AGT Global Logistics believes strongly in supporting our local community. Each year, we donate funds to Children’s Hospital and St. Jude’s, and raise awareness for breast cancer through support of the Pink Warriors. AGT Global Logistics is an Indirect Air Carrier certified by TSA (Transportation Security Administration). We have an extensive carrier base that is trained to safely transport hazmat and sensitive cargo based on federal regulations (49-CFR), parts 100-185. AGT offers fast-paced and rewarding career opportunities. Our goal at AGT Global Logistics is to attract and retain an enthusiastic, competent and credible team who shares our unrelenting commitment to keeping clients’ worlds turning. Check out our career opportunities below. The logistics industry is fast-paced and continually-changing. AGT keeps our own world turning through a strong crew of dependable, hard-working team members. An excellent opportunity for a highly-motivated and goal-oriented associate looking to join the AGT Global Logistics team. The operations position works closely with assets and vendors ensuring we keep our clients’ worlds turning. This is a full-time position. Desired candidates will have a basic understanding of logistics, vendor relations, transportation operations and carrier selection OR be an eager and quick learner. We will teach talented professionals the AGT method of operating in the fast-paced logistics environment. Desired skills include a professional interpersonal presence, organization and prioritization, and a great team attitude. Office 365 knowledge preferred. AGT offers exciting and rewarding agent opportunities in the freight transportation and logistics industry. We are always seeking highly motivated transportation professionals looking for opportunities within our fast-paced organization. AGT Global Logistics is headquartered in Glen Ellyn, IL. If you’re in the transportation and logistics industry and are looking to become an unstoppable agent, email info@agt3pl.com. AGT Global Logistics seeks to develop the next generation of supply chain superstars. AGT internships provide experiences in every aspect of 3PL from customer service to logistics planning. Learn more about AGT, as well as our services and history, by exploring this site or contacting us today.